The skeletal framework of a jacal building in south Texas. 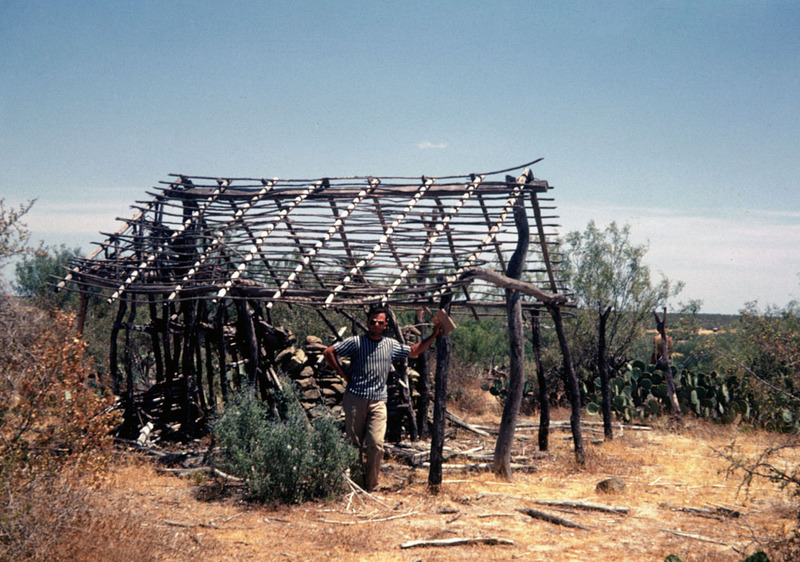 Jacals, built from wooden poles and covered over with branches and mud, provided easy shelter for workers and their families on the early Texas ranches. TARL Archives.